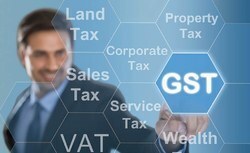 The Indirect Tax regime in India comprises a plethora of rules and regulations combined under the newly introduced regime of “Goods and Service Tax Act” which has replaced the several former taxes and levies which included: central excise duty, services tax, additional customs duty, surcharges, state-level value added tax and Octroi. Our specialist team stays abreast of all the developments on tax policies, administration and key judicial pronouncements, thereby identifying threats and opportunities for providing innovative tax solutions to our clients. In general, we advise and provide support to do each and everything with the compliance of Indian Indirect Tax Laws. Compliance support/outsourcing: Undertaking compliance functions i.e. obtaining GST registrations, verification of input tax credits, filing of monthly / quarterly /annual GST returns and all other compliances under GST either on support basis or complete outsourcing. Consulting Retainership: To solve all GST related queries by phone, e-mail or other mode of communication on real time basis acting as consulting retainer. Periodical review of business functions to assessee compliance level under GST, identifying the area of leakage of benefits and suggesting the ways to set them right. Regulatory Issues: Refund/rebate claim suggesting options for claiming refund/rebate benefits, assistance in preparing and filing necessary documentations and follow up with department to get the benefits. GST Training: We offer training to human resources of the organisation covering all or specific aspects of GST. The training program could be in the form of corporate training, business specific training, functional area training or workshop as per need of the client. We also provide training to departmental officers on specific requests. Sec 35 (5) of the CGST requires the accounts to be audited under the CGST Act once turnover in a particular financial year crosses the prescribed limit, by a Chartered Accountant or a Cost Accountant. A report shall be required to be submitted in prescribed format. This is similar to provisions under the erstwhile VAT act. This means, irrespective of the taxable business, be it manufacturing, trading, services, renting; one shall have to get the audit done for GST, if it crosses the prescribed turnover. Going with a team which has a good domain understanding, have seen different business models and possess deep auditing skills, would help corporates and multinational companies get early alerts about the issues, status of compliance and can help adopt to industry best practices. The audit exercise can also bring tax planning angle which was missed out while doing the routine compliance. We have a full-fledged specialized audit team which is backed up by expert GST consultants so as to make available updated GST knowledge as and when need be with specialized experience in specific industry verticals like manufacturing, event management, IT consultancy, staffing, etc. Apart from this, the GST audits PAN India, if so need be can be handled with help of our affiliate network spread across various metros and small towns across India. VAT is being implemented in Gulf Countries such as UAE, Saudi Arabia, etc. under Unified VAT Agreement for The Cooperation Council for Arab States of the Gulf. 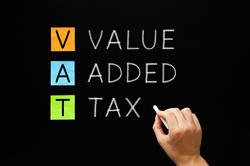 Value added tax (VAT) is not just an accounting or tax challenge. It impacts every part of the business with regard to cash flow, costing of capital, pricing of products and services, financial reporting, tax accounting, compliance processes, supply chain, procurement and contracting, and all technology currently enabling this ecosystem. In addition, there will be significant training needs for personnel to understand and operate effectively under a VAT regime. VAT Implementation Services: Understand the business model, Training to the Management & Employees, Analyzing the impact of VAT on your business. Registration for VAT: VAT Registration is mandatory for companies and individuals doing businesses in the UAE, having an annual turnover of more than AED 375,000/-. UAE is going to implement VAT with effect from 1st January 2018. All companies / individuals coming under above threshold limit (subject to the provisions of the relevant law) have to register for VAT on or before 31st December 2017. Before proceeding for VAT registration, the applicant should consider various aspects such as, weather to register as voluntary option or mandatory option, weather to register as a Tax Group or a Standalone etc. Periodic VAT Return Filing: VAT Returns Filing has to be done through online portal of the Federal Tax Authority (FTA) available under e-services. The form used for VAT return filing is called Form VAT 201. A taxable person is responsible to submit VAT return in the UAE in the prescribed format given by the FTA. Every taxable person is required to submit the VAT Return within 28 days from the end of each Tax period prescribed by the FTA. This must be in accordance with the provisions of the UAE VAT law. VAT Advisory Services: The UAE businesses are facing quiet a number of challenges while implementing VAT in their business stream to ensure that they are VAT compliant. As VAT is a newly adopted concept in the region, it requires qualified and experienced Tax professionals’ advise to support the businesses especially, while complying in the initial stages of this transition. We provide experienced chartered accountants and experienced commerce professionals as their tax advisors. Looking for Goods and Services Tax ?